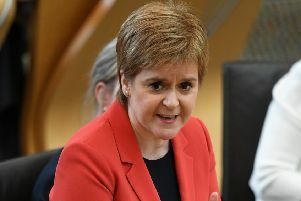 A Scottish garden centre has released a Grow Your Own Brexit Survival Kit - to combat food shortages in the event of a no deal Brexit. 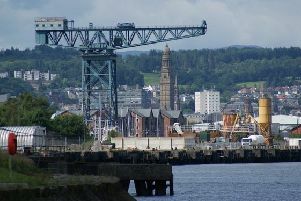 A global maritime business is to set up shop in Greenock providing a further boost for the economic redevelopment of Inverclyde. 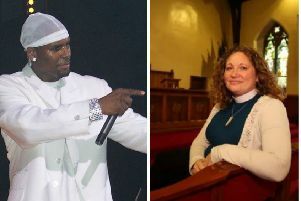 Members of a Church of Scotland congregation clashed with security on a cruise ship after a DJ refused to stop playing songs by American pop star R Kelly. 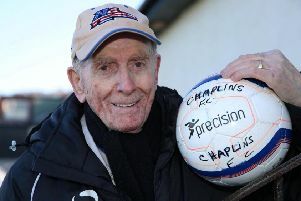 Meet Britain’s longest serving football manager – an octogenarian who has been in the job for 65 years. 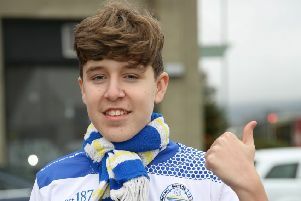 A football fan who was stranded more than 200 miles away after a match hitched a once-in-a-lifetime ride home - on the team bus. 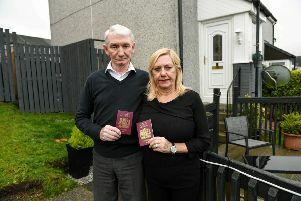 A grandfather’s dreams of spending Christmas in New York are in tatters after he accidentally branded himself a TERRORIST on a visa form. 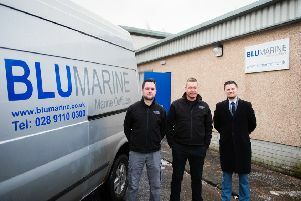 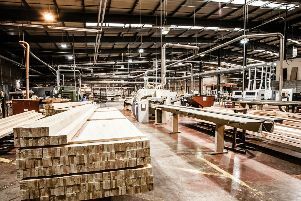 A Greenock-based windows manufacturer has outlined a seven-figure investment drive that is likely to lead to the creation of about 20 jobs. 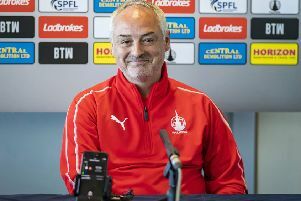 A local paper is preparing to ‘welcome’ Falkirk boss Ray McKinnon back to Greenock Morton by handing out cards with his face and the word ‘JUDAS’ printed on it. 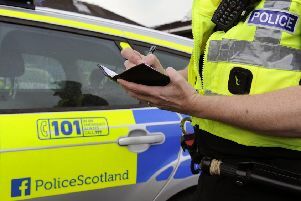 A teenager has been arrested and charged over an alleged attempted murder in Greenock. 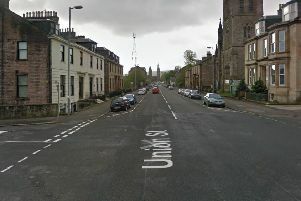 A man is in a serious condition in hospital in Greenock after he was stabbed while walking with two female friends. 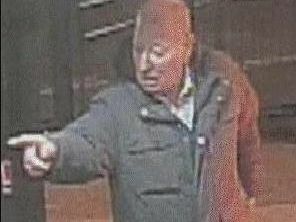 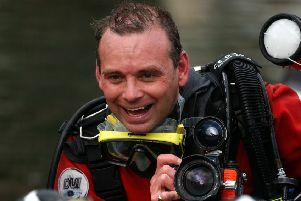 A man has been attacked with a weapon in a “shocking” daylight murder attempt, police said. 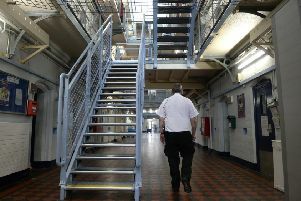 One of Scotland’s oldest prisons has been forced to put 17 of its cells out of use due to “unacceptable” levels of dampness within them. 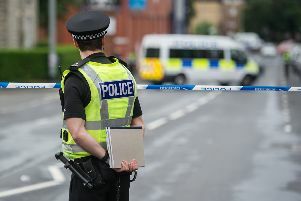 Nicola Sturgeon has written to two police officers seriously injured in an alleged attack in Inverclyde. 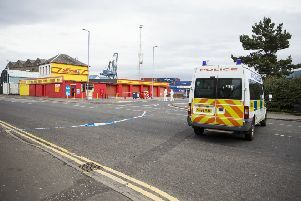 Two police officers in a serious condition in hospital after being stabbed in Greenock have been named. 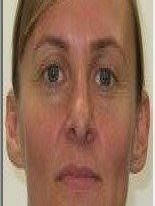 A man has been arrested after an alleged robbery left an elderly woman seriously injured. 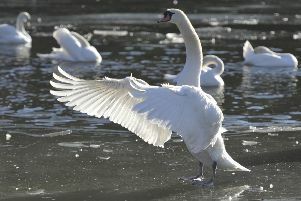 Police are investigating after a swan was killed after being pelted with rocks.